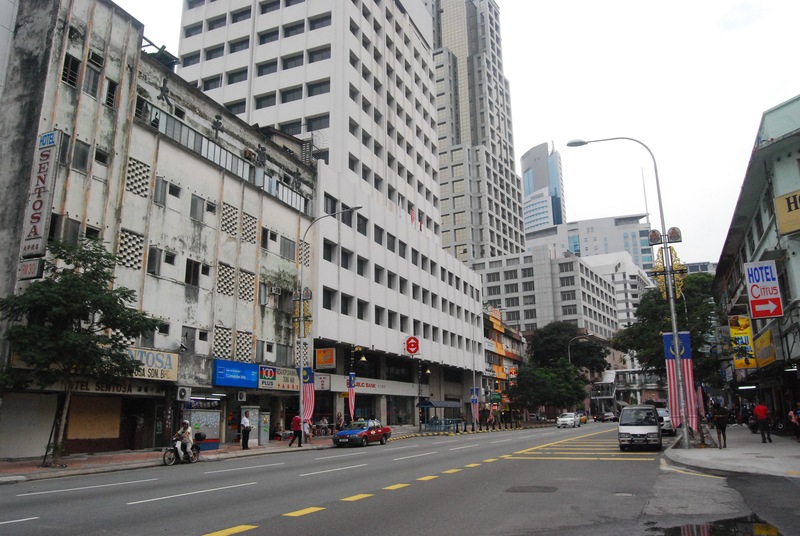 After the tour, I asked to be dropped off at Bukit Bintang. 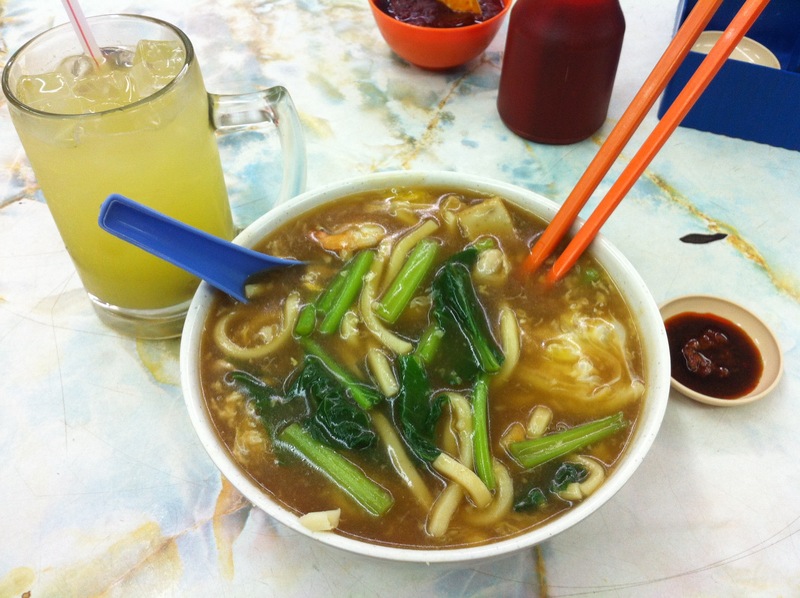 I had late lunch of Asam Laksa at Old Town, and then went for a walk around. 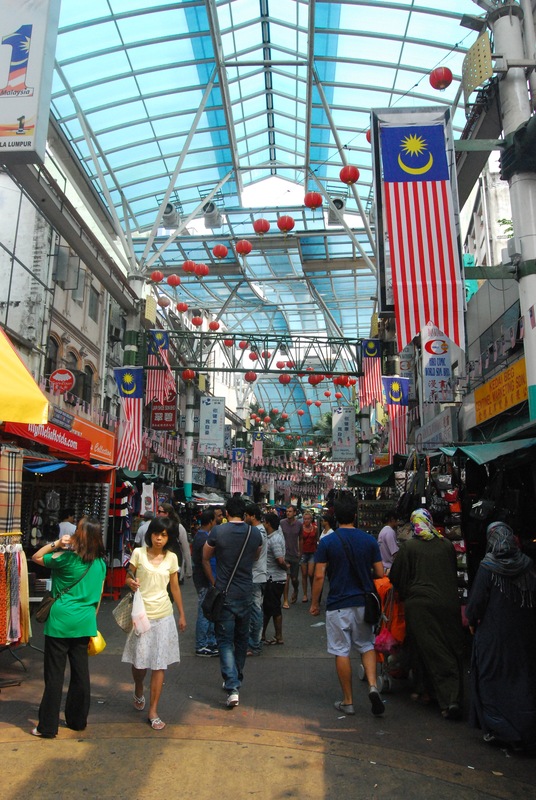 As I was resisting all and every urge to go shopping (and my credit card was completely cooperating because it wasn’t working in Malaysia), I decided to leave the Bukit Bintang area and proceed to Central Market. 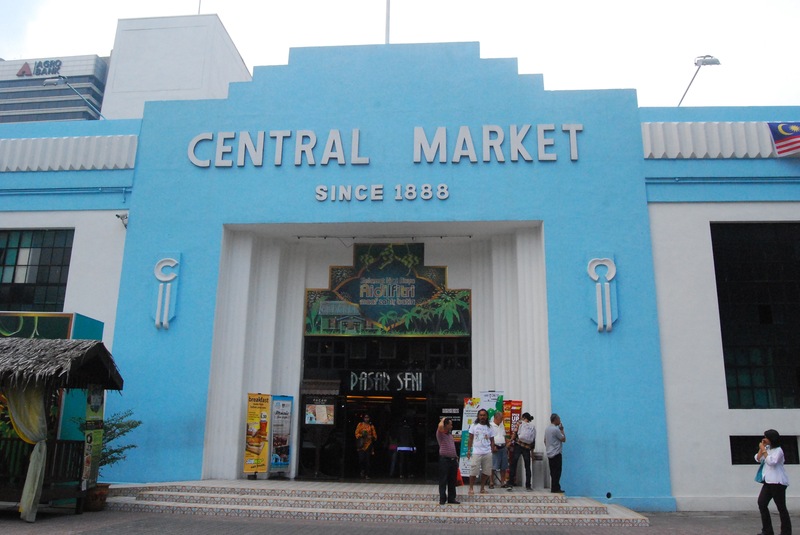 Uhm, but then again, Central Market is also a shopping place, but at least it wasn’t a mall. Still resisting the difficult urge to shop, I just bought a few items for my folks back home, and just a single item, a batik sarong, for myself. After Central Market, I walked to the Chinatown nearby. I was thinking of buying a few more items in Chinatown, but nothing got my fancy. Yehey wallet, you’re saved again. Tired from the tour, the looooooong stair climb at Batu Caves, and all the walk, I headed back to the hotel to rest a while and freshen up. After resting enough, I set off again, but not too far from the hotel. I went walking around the area of the hotel, around Jalan Raja Laut. It was good to have had dinner very near the hotel, because after that I headed back and just rested the entire evening. Woke up on the last day of my KL trip feeling refreshed, although my legs were still a bit painful from the day before. I remembered that it was a Sunday (actually, my parents reminded me the night before), so I went online to find a Catholic Church nearby and attend mass. I showered and dressed up, had breakfast at the hotel, and then took a taxi to the church nearby. After the mass, I went back to the hotel and finished packing, and then checked out. I brought all my stuff with me to KLCC. I met up again with Daniel at KLCC. He works at Petrosains, together with Nensi and Melissa, and all of them I met during the ASPAC conference. Daniel and Nensi took me around Petrosains. 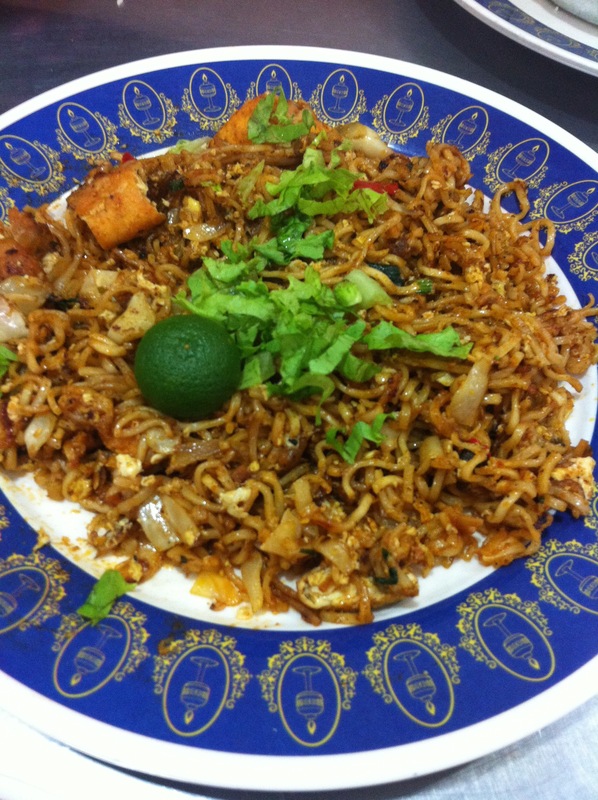 After going around Petrosains, Daniel took me to a food place nearby, to be able to try a few more Malaysian food. This time we had Indian-Malaysian food, consisting of biryani rice, curry, deep-fried bitter gourd, and some fried maggi. I really fell in love with that deep-fried bitter gourd, because I have never eaten amplaya that good. He also got teh tarik for my drink, and corrected me and explained that teh tarik is really taken hot, not cold (because I thought I have tried cold teh tarik somewhere in Sg or Manila maybe?). 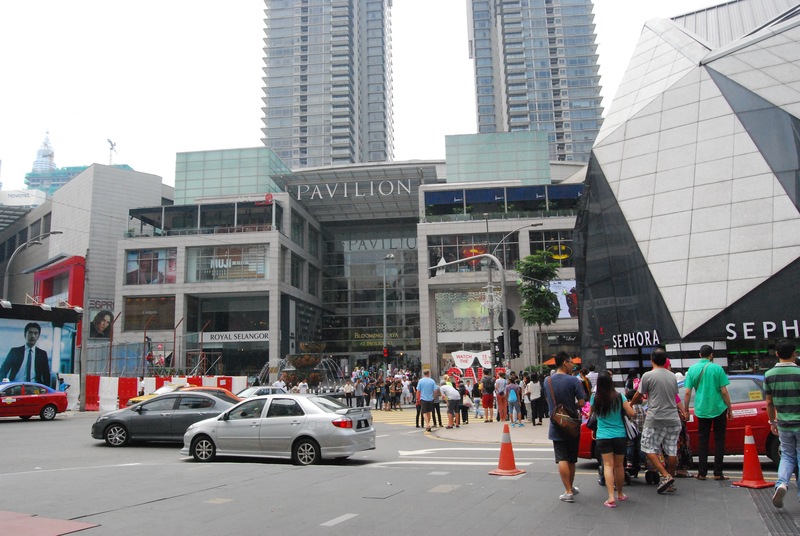 After lunch, we had a walk around KLCC and KLCC park. 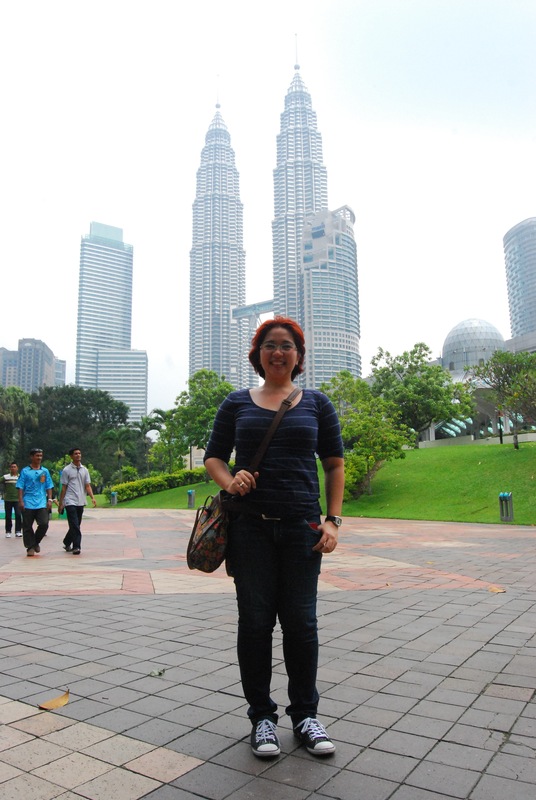 There are wonderful views of the Petronas Towers from the park. 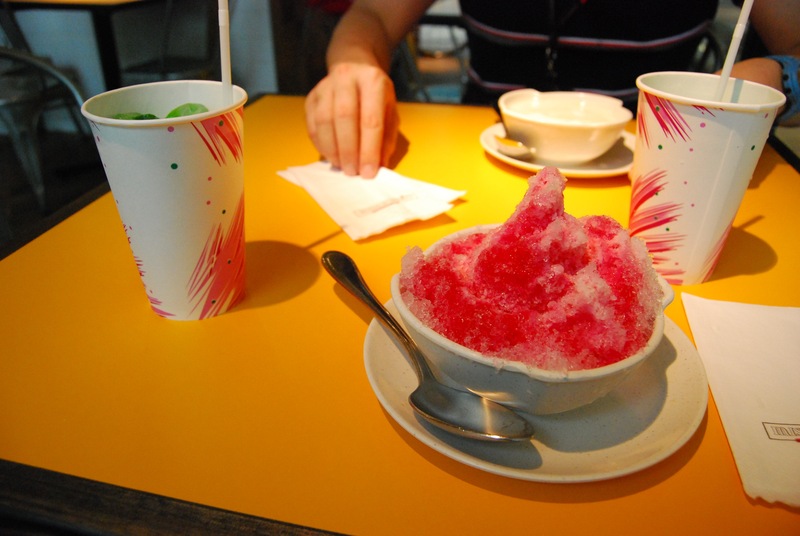 With time almost running out, we went back inside Suria KLCC and sat down for some coolers – ais campur and kedondong juice. Yumyum! Melissa came and caught up with us. It was wonderful to see Melissa even just for a short while. After the snack, it was time for me to leave for the airport already. 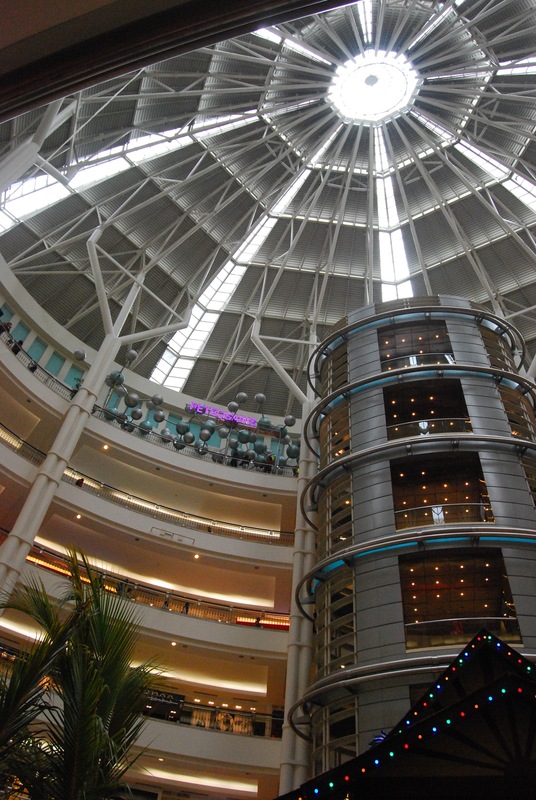 I bid goodbye to my friends at Petrosains, took a taxi to the Sentral Station, and took the train-shuttle connection back to LCCT airport. Such a short trip, only a little bit over two days, but I had so many new experiences, new places visited, and new food savored. Everyone was telling me that a weekend is not enough to experience all that KL has to offer. I answer them simply, this won’t be my last visit to the city. Now that I have a taste or a teaser of it, I can plan my future trips better. And because I couldn’t fit all the nice photos in the post, you can just check them out in my Picasa album.